Bust of Nikolai Leonidovich Dukhov (1904-64), Russian Soviet mechanical engineer and designer. Whilst working in a tractor factory, Dukhov was sent to the Leningrad Polytechnic Institute to study design engineering for vehicles. He designed several successful tractors before becoming involved with tank design. During the Second World War he was co-designer, with Kotin, of the JS-1 'Josef Stalin' heavy tank that helped turn the tide against the German invaders. In 1948 he transferred to work with Yuri Khariton on the design of Soviet nuclear weapons, a job he maintained until his death. 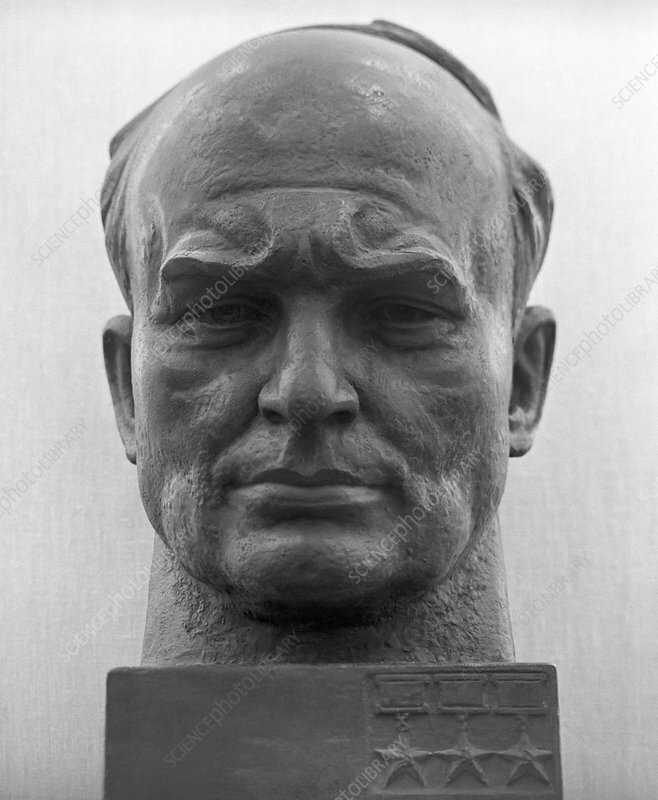 This bust was made in 1972 by artist Nikolai Kogan.